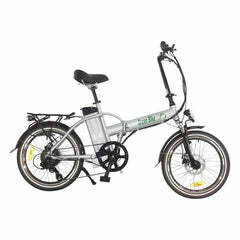 The X-Treme Baja is a brand new folding electric bike with all upgraded and top quality parts. 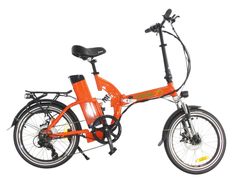 It's a full sized bike with 26 inch tires and a lithium battery that's completely hidden inside the frame, giving it an amazing sleek look for a folding bike. 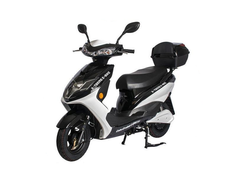 It has a powerful 500 watt Bafang high torque zero resistance clutch motor with digital torque sensing that's paired with an ultra efficient 48V battery. 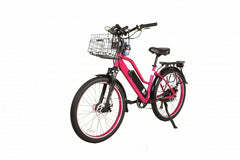 This provides unbelievable hill climbing and power on demand whenever you need it. PEDAL ASSIST & THROTTLE MODE: Choose from 5 Levels of Pedal Assist that you control through the LCD display or simply engage the throttle for power on demand. 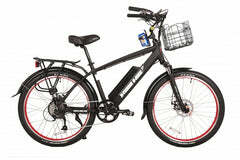 POWERFUL 500 WATT REAR HUB MOTOR: The ultra efficient 48V battery sends power to the 500W rear hub motor. 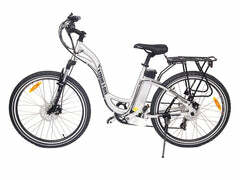 It's a top name brand Bafang motor with extremely high torque for hill climbing! 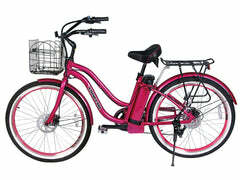 You will love sailing up the steepest hills with ease. 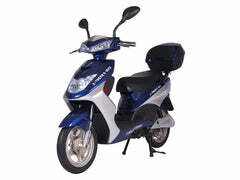 The automatic clutch motor has digital torque sensing which allow the ride to feel natural and extremely responsive. SUNTOUR SUSPENSION & KS REAR SHOCKS: Top of the line Suntour XCT front fork and KS Rear Shocks to provide a smooth ride on any terrain! 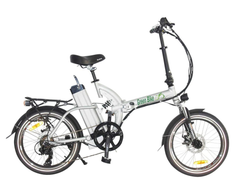 These parts are found on only the highest quality e bikes. 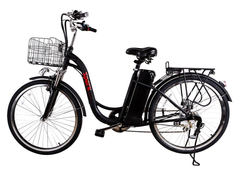 ALL ALUMINUM PARTS, NO RUST: Every bolt nut, spoke, and component on this bike is made from aluminum which ensures it won't rust or show wear over time. Truly built to last with the highest quality parts money can buy. 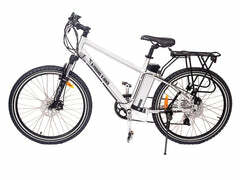 One amazing feature of this bike is the battery is held inside the frame and completely invisible when the bike is being ridden. This gives the Baja a sleek look for those who don't like the battery visible for all to see. 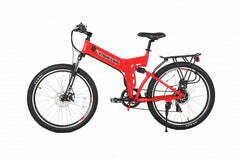 Thanks to this amazing design the bike also is perfectly balanced with the weight of the battery right in the center. You will love the high end LCD display that comes with the Baja. It allows you to monitor everything you need on your rides including speed, mileage, trip meter, and battery. Also you adjust your Pedal Assist levels seamlessly right on the screen. Another great bonus is there's a USB outlet to charge your iPhone with! Lifetime on Frame and Full 1 Year coverage on components.